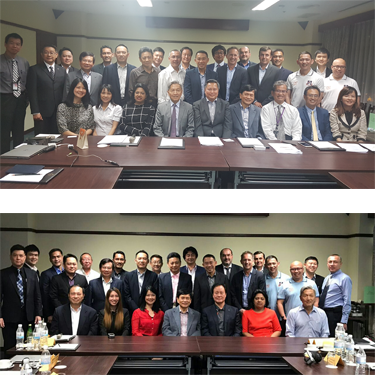 Asia-World Logistics Alliance annual general meeting was held on 21-22 November 2016 in Taipei. Main agendas was about how each member will cooperate closely to promote total logistics services including E-Commerce logistics. Also about our group’s strong relationship with strategic airlines and shipping lines. Eighteen members from sixteen countries which include Australia, China, France, Hong Kong, Indonesia, Japan, Korea, Malaysia, Myanmar, Netherlands, Philippines, Singapore, Taiwan, Thailand, USA, and Vietnam joined the meeting.